The X-Files may have disappeared from our screens for a few years before returning with 2 event series that didn't disappoint, but the series has lived on through novels, comics and graphic novels. 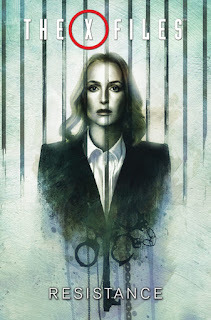 Having been a lifelong fan of The X-Files it was only natural that when news of a new graphic novel was coming out from IDW Publishing, that I would have to get my eager hands on it and read it. 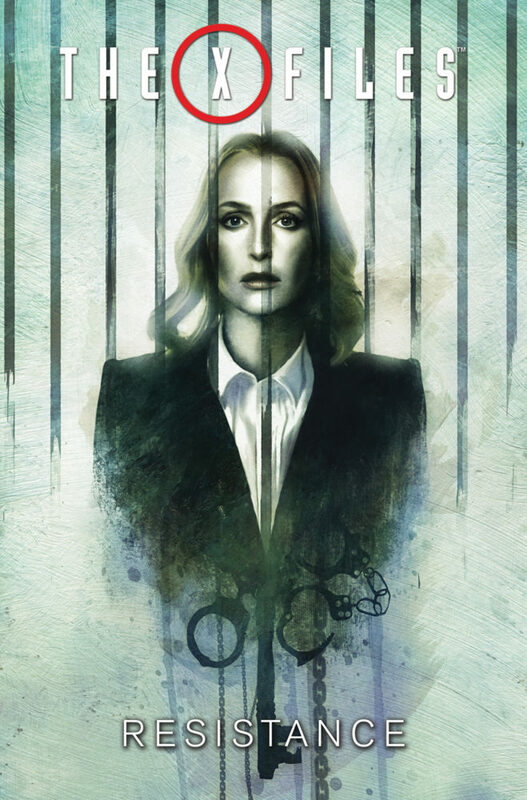 Which brings us to this new graphic novel The X-Files: Resistance, which continues the government conspiracy story which has made the tv series such a cult show. Agent Scully receives an invitation to meet with Firas Ben-Brahim who after months of silence is willing to share the secrets he has kept from the world all this time. With Mulder piecing together the puzzle that reveals shadowy forces are influencing the government, he must now join forces with someone he despises to reveal the truth and save Scully. Compiling issues 14 -17 of the comic in this graphic novel has allowed the reader to immerse fully in the story without having to wait weeks for the next issue to arrive. This is a graphic novel that will have you hooked from its cover to its final art panel. Beautiful art provided by Matthew Dow Smith and with a story by Joe Harris it will be interesting to see if this pairing comes together for another venture into the world of aliens, conspiracies and monsters. Remember 'The Truth Is Out There' its upto you if you seek it out. You can buy THE X-FILES VOLUME: RESISTANCE on digital (HERE) and also in print (HERE) direct from IDW Publishing.